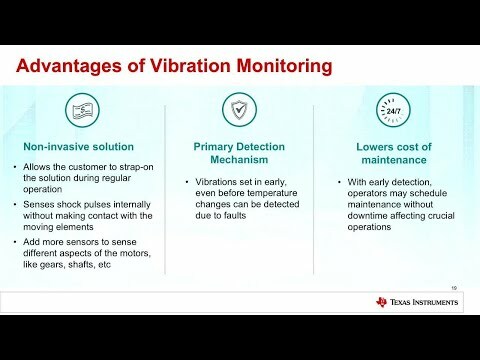 During the 2018 IOT Developer’s Conference, Texas Instruments applications engineer Chris Sterzik, shares the importance of predictive maintenance on electric motors and details a SimpleLink™ MCU Platform solution that uses vibration condition monitoring to help you save time, money, and energy. Take a closer look at the solution here. This entry was posted on Monday, July 23rd, 2018 at 4:02 pm and is filed under Advertiser, Videos / Podcasts.